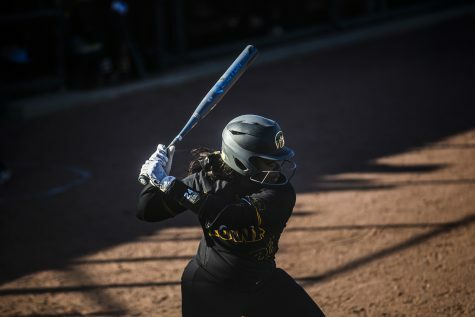 First-year head coach Renee Gillespie is clinging to Iowa softball's history and the Hawkeye community as she seeks to bring the program to the top. 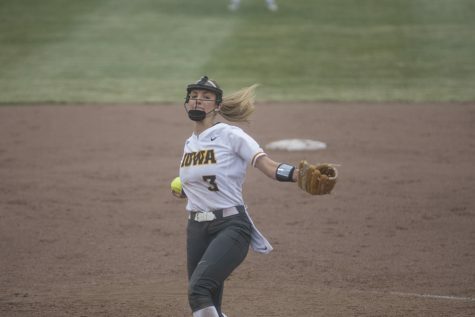 Iowa's Allison Doocy winds up to pitch during a softball game against Des Moines Area Community College on Friday, Sep. 21, 2018. 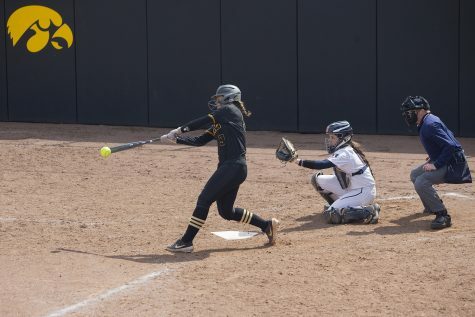 The Hawkeyes defeated the Bears 8-1. 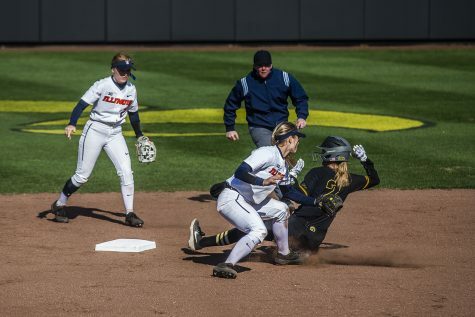 As it rebuilds, Iowa softball looks to a new philosophy to reach the mountaintop. First-year head coach Renee Gillispie uses community and the program’s history in hopes of creating a juggernaut. But is this a new philosophy? 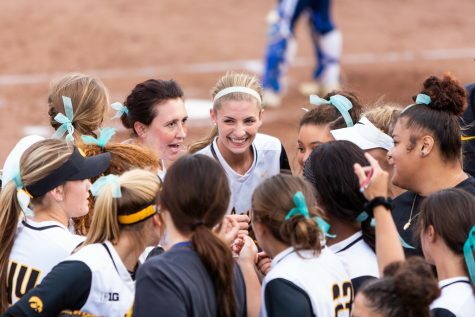 Gayle Blevins, a two-time National Coach of the Year, built a softball dynasty in Hawkeye Land. 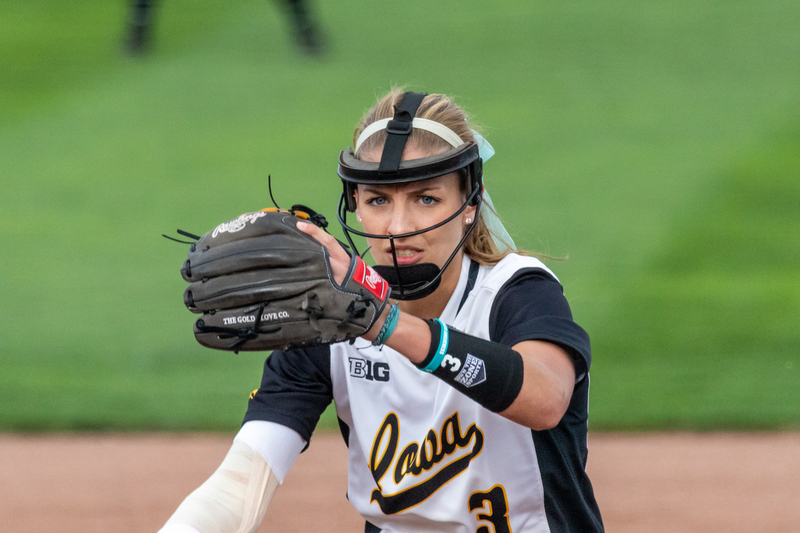 The Hawkeyes appeared in the College World Series four times while she was at the helm and claimed five Big Ten titles. Her tenure boasted a strong fan base and some of the nation’s top players, many of whom call Iowa home. But that program has seen turbulent times in the past 10 years. 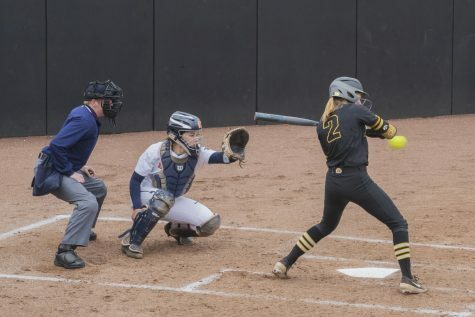 Iowa has only made the NCAA Tournament once in the last decade; its 2009 appearance ended with a loss in the NCAA regional. The last five years have been even rockier, with its last winning season coming in 2013. Iowa’s Allison Doocy smiles between innings with her teammates during a softball game against Des Moines Area Community College on Friday, Sep. 21, 2018. 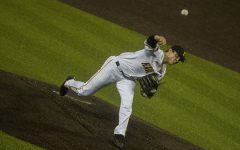 The Hawkeyes defeated the Bears 8-1. 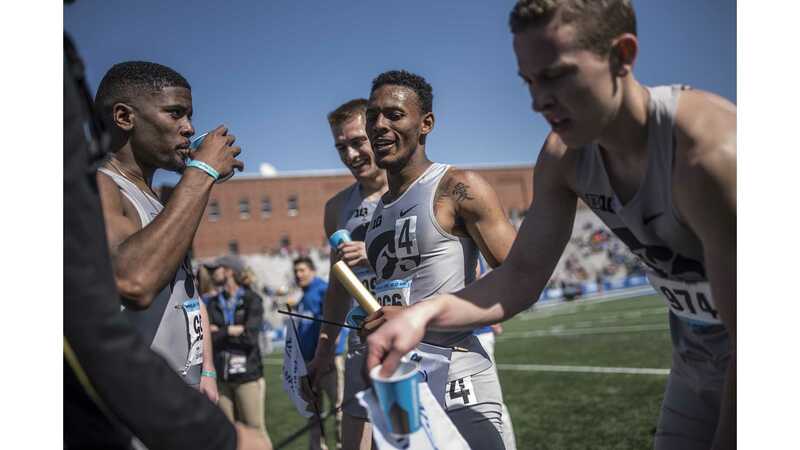 Gillispie, who now leads the program, relies on Iowa’s history and community to regain a winning culture. 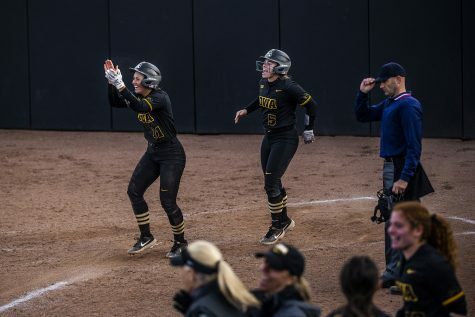 Blevins and Gillispie have similar philosophies in this way: Both see importance in the storied history of Iowa softball, along with a strong sense of purpose in representing the state as a whole. 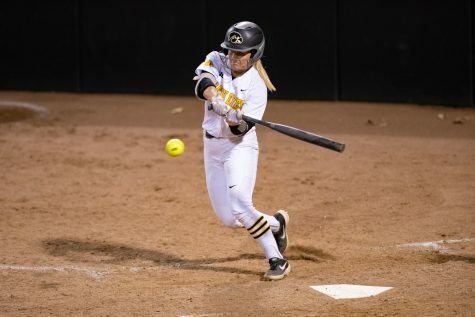 Gillispie, who boasts seven NCAA regional appearances in her career, approaches the Hawkeye program in a similar way. Though she’s successfully coached at other places, every program is unique and presents different challenges. 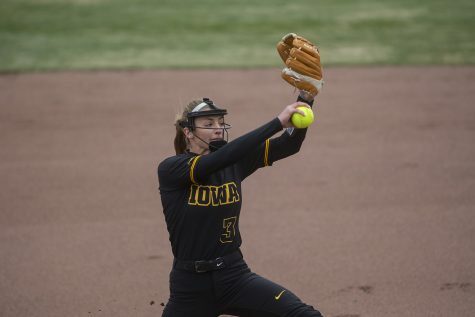 She uses every bit of the Iowa name to her advantage, in much of the same way Blevins did. With the history of the program in mind, another emphasis is on the community. 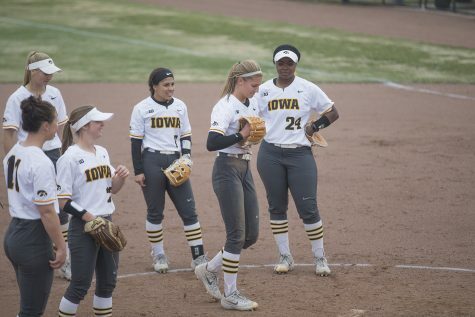 For Gillispie, giving pride to Iowa fans on the softball diamond means keeping Iowa natives in Hawkeye uniforms. 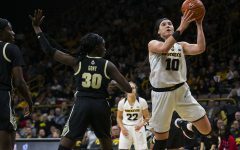 Last season’s team featured not even half of the squad calling Iowa home, so Gillispie wants to give her program homegrown roots. “Our first priority was to keep Iowa kids in Iowa,” she said. She did not have many scholarships to give out this season but still made her mark in recruiting. She has attracted some of the state’s top community-college and high-school recruits. Beyond coaching philosophy and program rebuilding, Gillispie gives off an aura that makes players want to play for her. This won over the Iowa players she inherited, so it’s easy to think it will help her win over sought-after recruits. It may not be a fast climb for the program. But with an ideology that can only be compared with that of Blevins, winning is almost inevitable.